Tuberculosis is a potent bacterial infection that can affect almost every part of the body. However, it is tuberculosis of lungs which is more common and contagious too. This bacterial infection spreads easily from an infected person to another healthy person by just inhaling the bacteria. According to a WHO report, India is the country with the highest burden of tuberculosis and there were around 2.76 million cases of tuberculosis in India in 2016. Around 1 million children fell ill due to TB and 250,000 children died, in 2016. TB is a major cause of death in HIV-positive people, accounting for 40 per cent of TB-related deaths in 2016. While TB can be treated and cured with antibiotics what experts fear is the challenge of treating the advanced kind of this condition called MDR-TB or multidrug-resistant TB. This kind of TB is resistant to two main kinds of TB drugs, namely isoniazid and rifampicin. Data suggest that in 2016, there were 600,000 new cases with resistance to rifampicin, the most effective drug to treat TB; of this, 490,000 had MDR-TB. However, an international systematic review, published in the journal PLOS Medicineshowed that tuberculosis treatment is successful in children with multidrug-resistant tuberculosis (MDR-TB). The study was used to inform the World Health Organization on tweaking the guidelines of the treatment for MDR-TB in children. A collaborative group of international researchers concluded through a patient data meta-analysis on the clinical characteristics and treatment outcomes of 975 children from 18 countries that the second-line MDR-TB drugs were more effective on kids than the first line of the drug. 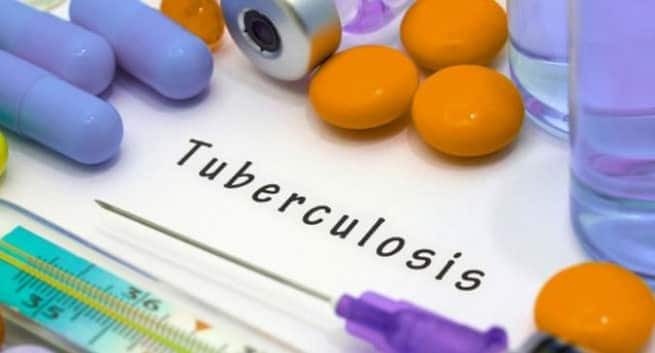 Prof. Anneke Hesseling from the Desmond Tutu TB Centre, Faculty of Medicine and Health Sciences, Stellenbosch University said an estimated 32 000 children develop multidrug-resistant tuberculosis each year. She said treatment for MDR-TB is of a longer duration and requires drugs that are more toxic. So, the treatment is hard to tolerate for the young ones due to drug toxicity and lack of child-friendly formulations, but they still work. TB deaths are more common in people who also have an HIV co-infection. The review pointed out that treatment for tuberculosis with the second line of the drug in HIV infected children (not receiving antiretroviral therapy or ART) were less successful. “Treatment was successful in only 56% of children with bacteriologically confirmed TB who were infected with HIV who did not receive any antiretroviral treatment during MDR-TB therapy,” said Hesseling, to a section of media, “Compared to 82% in children infected with HIV who received ART during MDR-TB therapy.” This highlights the urgent need for ART in children who are suffering from HIV/TB co-infection. One dampener in treating MDR-TB in children is malnutrition. It was seen that malnutrition affected the outcomes of the treatment adversely. What makes the second-line of treatment a success is the high dose of isoniazid. However, children who didn’t suffer from drug-resistant TB did well without second-line drugs. The researchers concluded that more work needs to be done to ascertain the effects of treatment outcome.